Coming off three straight lopsided wins, the No. 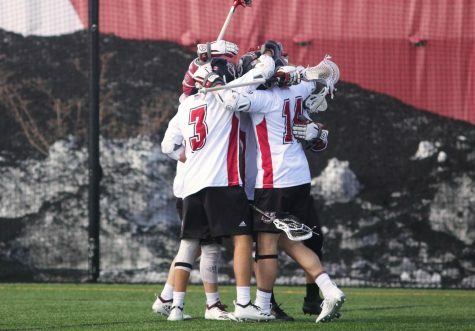 4 Massachusetts men’s lacrosse team will be tested when it hits the road Saturday to take on No. 14 Penn State. 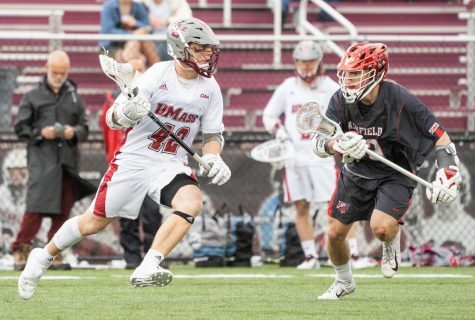 It will be the Minutemen’s (6-0) first game against a ranked opponent since Feb. 25 when they defeated then-No. 11 Ohio State, 9-3. The game will also be both teams’ Colonial Athletics Association season-opener. 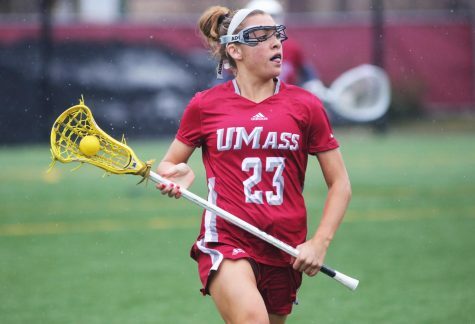 UMass has gone 3-0 in its last three games against Hartford, Albany and Brown, outscoring those teams 43-19. That trio of squads has a combined record of 3-12 on the season. However, the Nittany Lions (3-2) present a real challenge for the Minutemen as PSU already has wins over No. 9 Notre Dame and then-No. 16 Ohio State. During those two games, Penn State limited the Irish to three goals and surrendered just two against the Buckeyes. 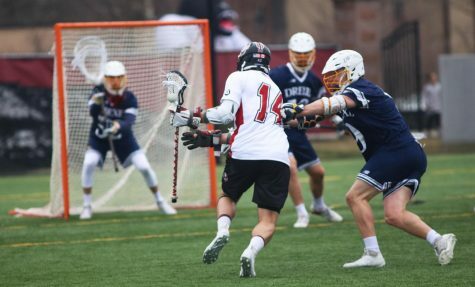 “Defensively, they’re strong and in the goal they’re strong,” said UMass coach Greg Cannella of the Nittany Lions. The goalie Cannella speaks of is sophomore Austin Kaut. The netminder was a thorn in the side of the Minutemen last season. He stopped an NCAA season-high 25 shots against UMass last season during his team’s 8-7 regular season win on March 19, 2011. 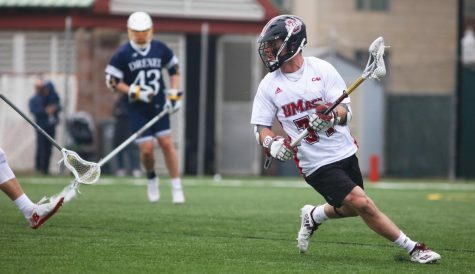 The sides met again in the first round of the CAA tournament and UMass avenged its earlier loss with a 10-9 victory to advance to the CAA championship game. However, Kaut was the only reason his team remained in the game, as he sent away 20 shots. While Kaut serves as a great security blanket, he plays in front of a stellar defensive unit. 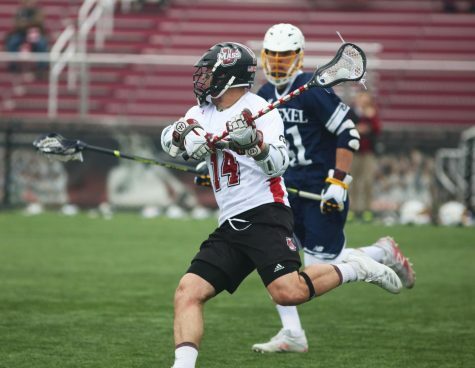 Senior defender Ryan McGarvey has taken on a more pertinent role on the team this season. Offensively, Penn State has struggled at times this season, lacking a go-to scorer. None of the team’s top seven scorers have a shot percentage higher than 29 percent. 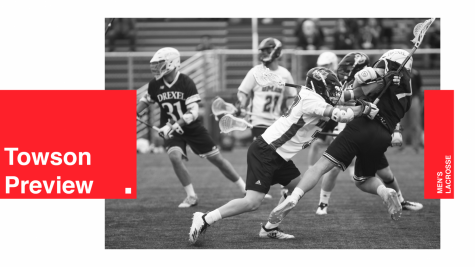 Jack Forster leads the team with 14 points (seven goals, seven assists) while Matthew Mackrides (eight goals, one assist) and Shane Sturgis (three goals, five assists) are second and third on the team in scoring, respectively. Nich Dolek also has five goals for the Nittany Lions. 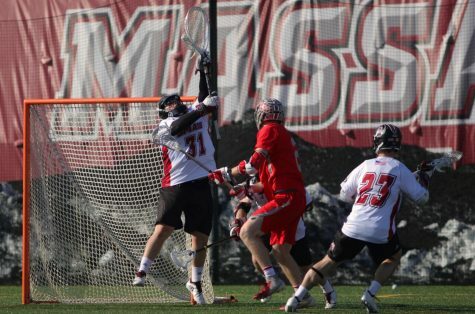 The Minutemen are coming off a 14-5 thumping of Hartford last Saturday at Garber Field. 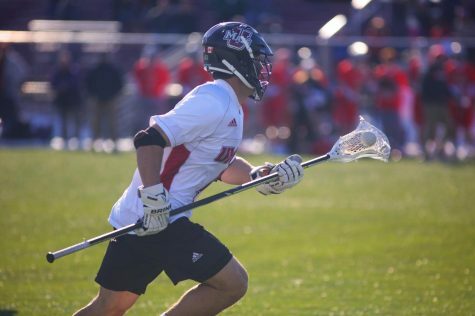 Junior attackman Will Manny continued his spectacular season, as he collected six points (two goals, four assists) on the afternoon. On the season, Manny leads the team in both goals (18) and assists (12) while shooting the ball at an impressive 60 percent mark. Art Kell stayed on his recent hot steak with a three goal, one assist performance. In his last games three games, he has nine goals and five assists. Despite the way his team has dismantled opponents in the past three games, Cannella still sees areas for improvement. 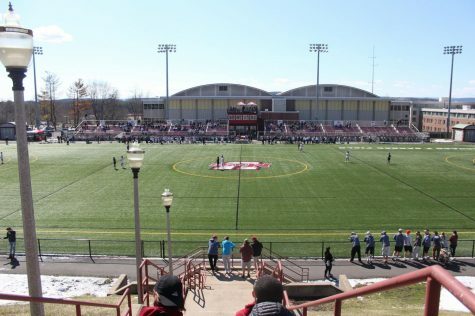 Saturday’s game will be played at noon in University Park, Pa.
“This is a very well-coached team, obviously we’re playing at their place so this is a really tough one for us and a great challenge for our guys,” said Cannella.